The story started three years ago when we opened a shop in the center of Bucharest. 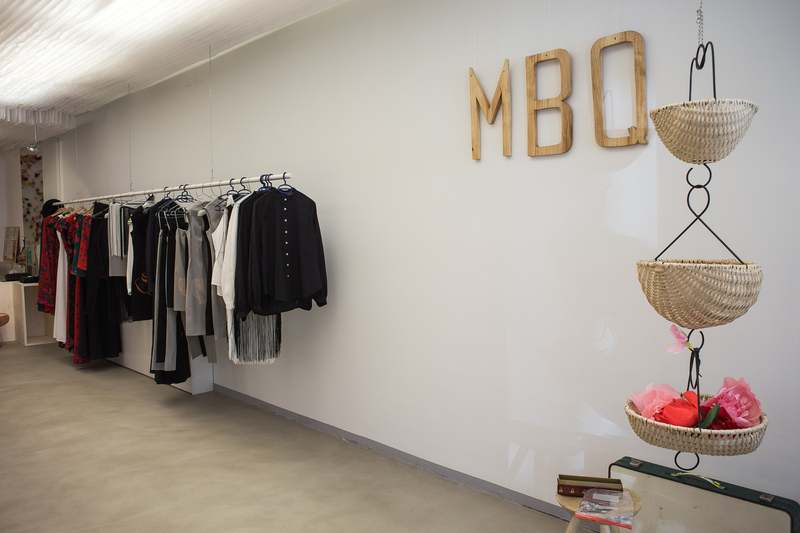 MBQ’s shop was the first of its kind and shortly became know to the public as one of the most exquisite places to buy handcrafted and designer gifts. 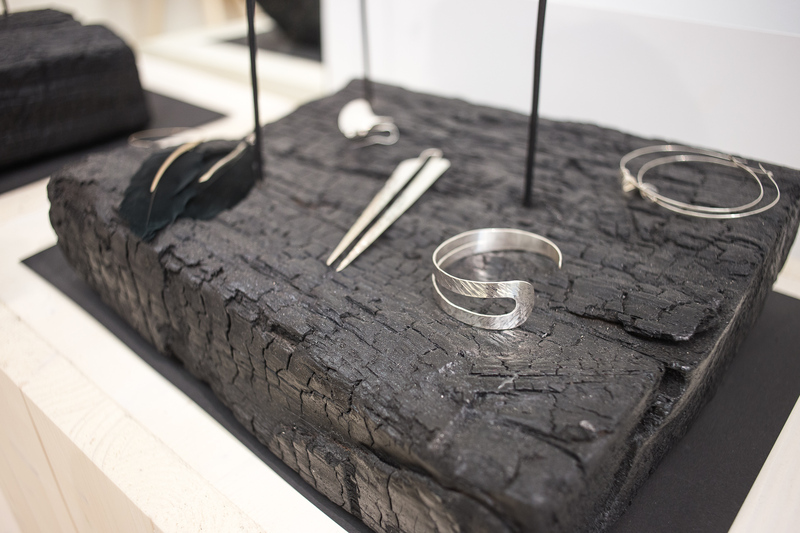 Step by step MBQ started to get involved in famous event like Romanian Design Week, Autor International Jewellery Fair. 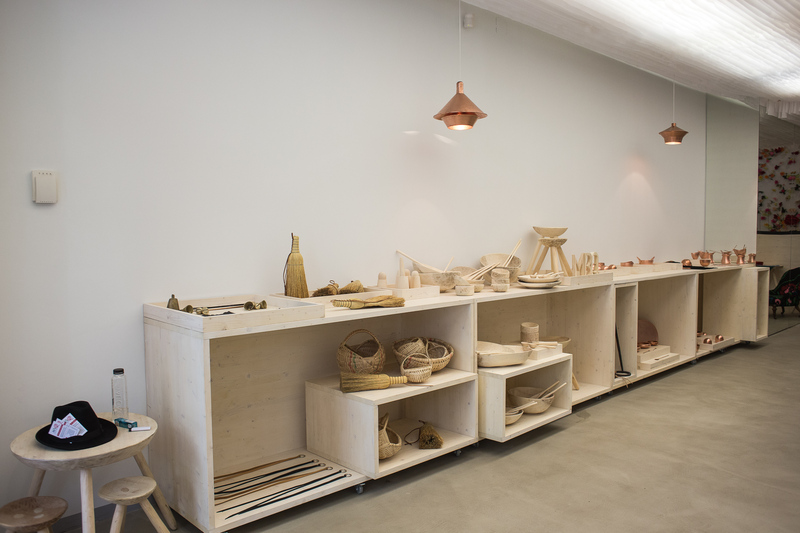 Handcrafted its first home decor collection and started collaborations with Austrian and Swedish designers. 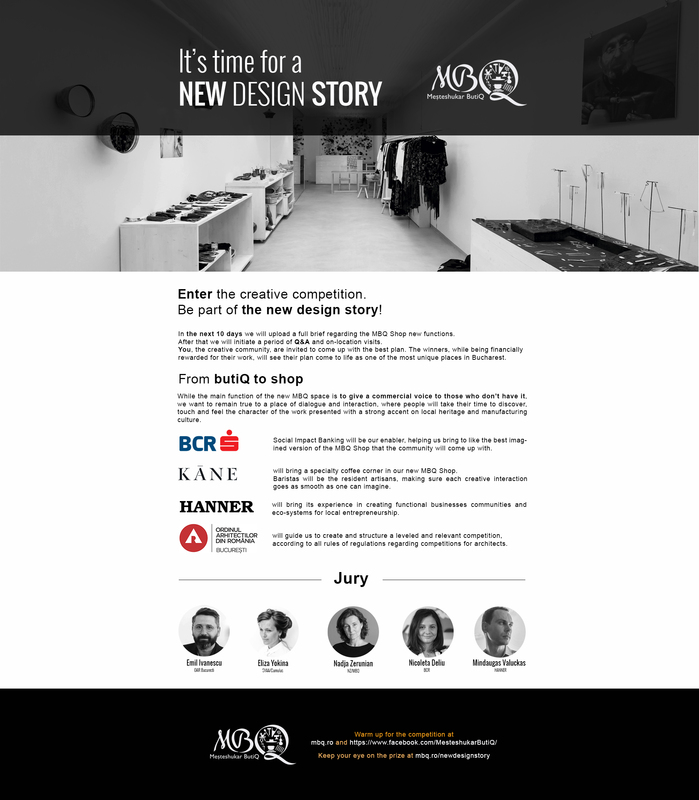 Furthermore, MBQ participated to Vienna Design Week (Home Decor 18, designed by Radu Abraham). And here we are now, three days before the application deadline for the design competition. Why do we want a design competition? 18 craftsmen, 14 collection and 7 designers later we decided it’s time to open up our space to a broader audience of the public, designers and makers. 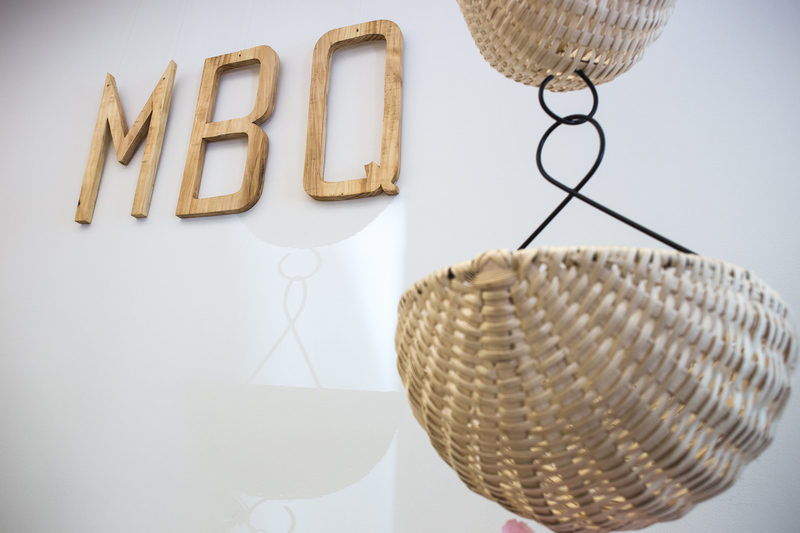 MBQ represents an ethical and responsible alternative to mass produced market goods and the space should borrow some of its character from this principle. In other words, it should be a place that emphasizes and encourages interaction in order to discover the craftsmanship and meaning embedded in each collection piece displayed. The story was possible thanks to our partners: BCR Afaceri Sociale , KANE, Fosta Fabrică, OAR.